All in a convenient location for sightseeing and shopping in the " T Mark Hotel 'is a room full of 288 rooms, double, twin, triple tourist hotel with a variety of styles . In-room facilities include air conditioning, free Wi-Fi, Smart TV, telephone, refrigerator, safe, hair dryer facilities. The bathrooms are rooms , bathtub, bidet attached to the toilet , it is very comfortable equipped . In addition , complimentary bottled water are provided each day per 1 person . Room Only accommodation is available on the elevator floor and can be operated with the room key card security system, so rest assured . Facilities include a restaurant and a terrace space and shelter planned. 10 minutes walking distance close to Myeongdong. 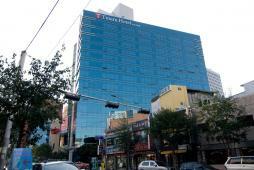 It is easily accessible by subway Namdaemun and Dongdaemun. ① All rooms are equipped with bathtub and bidet ! ② All the rooms are equipped with 220V & 110V outlet ! ③ 6-10 minutes ' walk from Myeong-dong ! 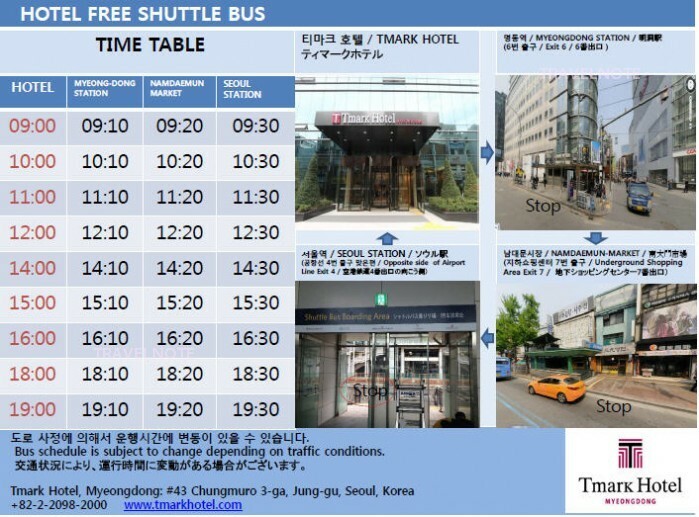 ④ Myeongdong , Namdaemun Market, Seoul free shuttle bus service ! Hollywood twin is united two single beds + single bed. - Shirts 5,000 w, pants 8,000 w, T-shirts 5,000 w, underwear 2,500 w, 1,500 w Shorts Socks 5,000 w, 8,000 w skirt, etc. ◎ Free high-speed Internet (wired / wireless, Wifi) in a room.